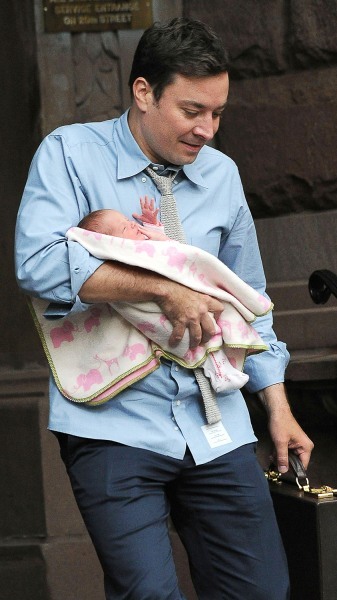 Proud papa Jimmy Fallon just can't get enough of his new daughter, 3-week-old Winnie. According to the "Late Night" host, she's turned him into "mush." Fallon shared that daddy detail during his recent chat with TODAY's Savannah Guthrie, but it was far from his only Winnie-related news. In the interview, which aired Tuesday morning on TODAY, he also revealed what a long and often difficult path to parenthood he and his wife, Nancy Juvonen, went through. Before having Winnie via surrogate, Fallon and Juvonen struggled to start their family for five years. "We've tried a bunch of things," he explained. "Anyone who's tried will know, it's just awful." That's why, after having shared past attempts and disappointments with friends and family, they decided not to tell anyone they were expecting this time. "We tried before, we told people and then it didn't happen," he recalled. "And it's just really depressing. It's really hard on everybody." 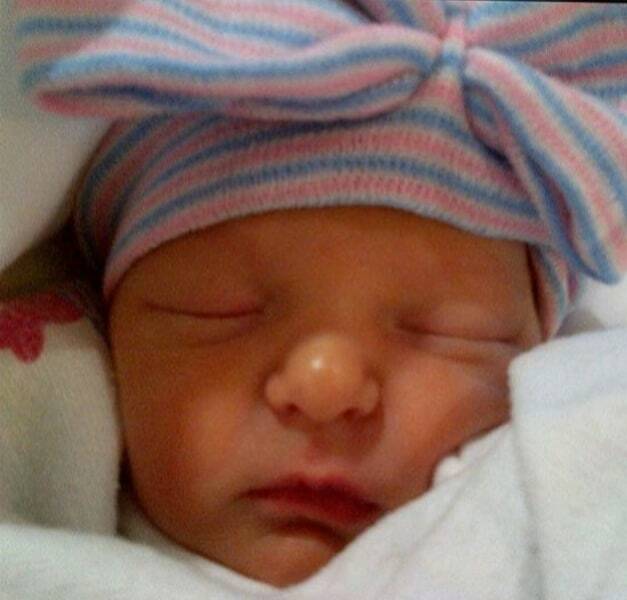 But now the hard times are over — little Winnie is here, and Fallon even explained just how she got that name. "It's not Winnie-the-Pooh at all … though I do love Winnie-the-Pooh," he said, debunking one popular theory. "My wife and I got engaged in New Hampshire at this lake house that her family's had forever, and it's on Lake Winnipesaukee. And so we went there every summer as we were dating." While Winnipesaukee seemed a little long, Winnie seemed just right. "And yeah, Winnie from 'The Wonder Years' is the coolest girl in any TV show ever," he added as bonus inspiration. "And also, she's a 'win' for us." Now Fallon hopes that other couples facing difficulties starting a family can have their own win now. "I know people have tried much longer (than we have), but if there's anyone out there who is trying and they're just losing hope … just hang in there," he insisted. "Try every avenue; try anything you can do, 'cause you'll get there. You'll end up with a family, and it's so worth it. It is the most 'worth it' thing." And just to reinforce that point, he added, "I'm just so happy right now, I'm freaking out." Part two of Guthrie's interview with Fallon will air Wednesday on TODAY.